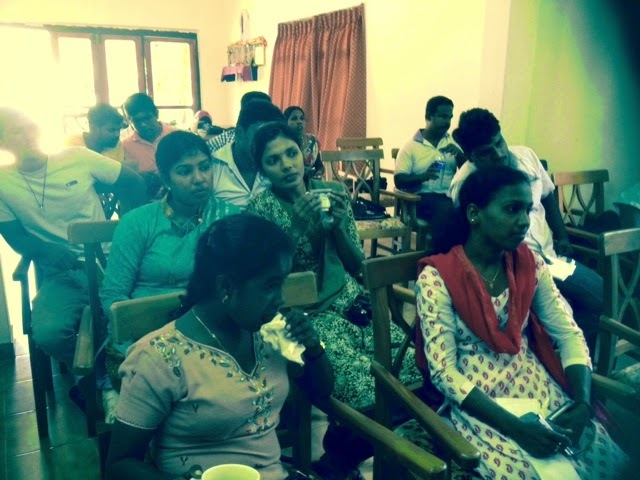 A media briefing was held in Jaffna today (14.07.2014) on issues facing by people in North - Sri Lanka, who still under pressure from land Grabbing, Indian invasion of territorial sea and destroying fisheries resources and military pressure over their lives. Parlimentary members, Mavei Senadiraja, Mr. Sarawanabawan, and member of a socialist party, Mr. K. Selvam, former PM Ponnambalm Gajendran and 2 presenters from NAFSO including Anthony Jesudasan were express their view and ground situation of the area. 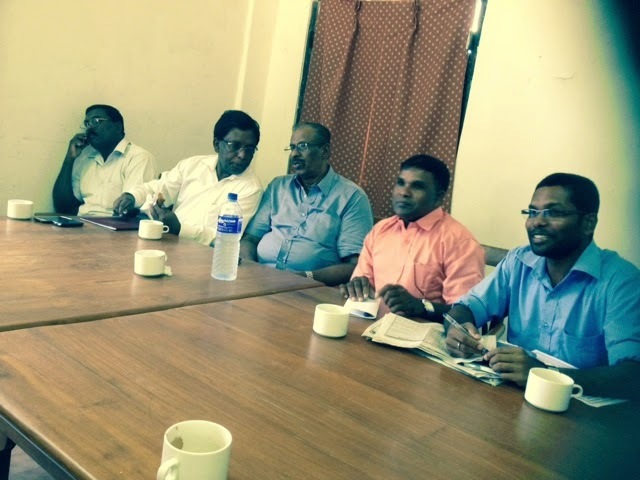 They also reviled the news of A protest planning to be conduct on 15th of July in Jaffna and difficulties on organising of the protest. Threats from political parties who are alies of the government and threats from military to the potential participants were reviled during the discussion.